1. How does mid-market procurement differ from enterprise procurement? Mid-market companies, or those with annual revenue between $100 million and $1 billion, have very different procurement challenges from their large enterprise counterparts. These small to midsize enterprises typically have a less developed procurement organization and rely on individuals within the business to perform purchasing duties. In most cases, finance and AP teams are tasked with managing these activities alongside their own day-to-day responsibilities. Limited or out-of-date procurement tools contribute to slow, manual processes and lack of control. 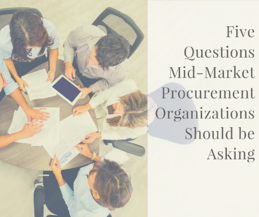 While most mid-market organizations recognize the need for procurement improvements, they do not have the resources, budget or time to engage in an enterprise procurement technology solution. Typically, the Procurement and IT teams are small and simply do not have the capacity to support a large technology deployment. These organizations are just beginning to recognize that by controlling spend and managing their supplier relationships they can increase savings and streamline processes by removing inefficiencies. This is accomplished by implementing change throughout the organization across people, process, and technology to better manage expenses, contracts and spend. 2. How can we scale and digitize our business by eliminating extra work and simplifying the buying experience for our employees? Every initiative needs to provide a return on investment. By leveraging the proper tools, employees can get back to doing the activities that provide greater value to the organization. We frequently see users engaged in administrative activities instead of procurement activities such as strategic sourcing and category management. 3. How long should a mid-market technology solution deployment take? Planning and deploying a procurement solution for a mid-market organization is no small feat, considering typical enterprise system deployments can take up to one year. These large enterprise deployments include months of discovery meetings and time allocated to creating customized process workflows. In our experience, mid-market solution deployments bypass excessive discovery and customization cycles by deploying standard procurement best practices specific to an industry. Realistic deployment times for mid-market systems have been slashed from that standard 52-64 weeks down to 10-14 weeks. While there are a few functions that can be configured, it is important to remember the mid-market offering is a prebuilt and configured tool. You may ask, “Can we do < fill in the blank >?” The answer to this question is always, “Yes, we can do that in the next phase.” This phased approach will allow you to capture immediate benefits and prioritize where to focus your energies in your procurement road map. Another component to achieving this rapid deployment is to be prepared. Resourcing a project such as this will require a few key individuals who will be actively engaged in supporting the project. Take the time to understand the deployment plan and which departments will be involved. Project RACIs should be discussed and understood up front. Your team will need to be ready to participate in the project, with the largest focus on the master data and IT organization. Procurement and AP will be involved in reviewing the configuration to ensure it meets their needs. 4. Will spend transparency be improved with a mid-market solution and if so, how? One of the fastest wins with the implementation of a mid-market solution is the ability to track where corporate spend is going and who is responsible for generating those requisitions. When your employees buy with a P-Card through online retailers or directly with local vendors, your visibility is limited. Even if you have a PO, spend reports are a manual effort and tend to become a low priority for your finance team. Imagine having all of your spend on POs that match invoices, and being able to see exactly who bought what, when they bought it, and from which vendor and which contract. All within 14 weeks. Would that deliver value to your organization? The mid-market solution offers a set of preconfigured reports providing the ability to drill into these details. This data provides the ability to target additional categories for strategic sourcing, allowing you to control even more of your spend. As your organization matures, so does your procurement system – the more you know about spend patterns, the more spend you can drive to the right channel. 5. How much does a mid-market solution cost compared to an enterprise solution? The good news is that there is now a solution that allows you to quickly manage your spend, improve cash flow, and provide control and compliance without adding unnecessary complexity. And it is right-sized to meet the needs of your business as you scale for growth. 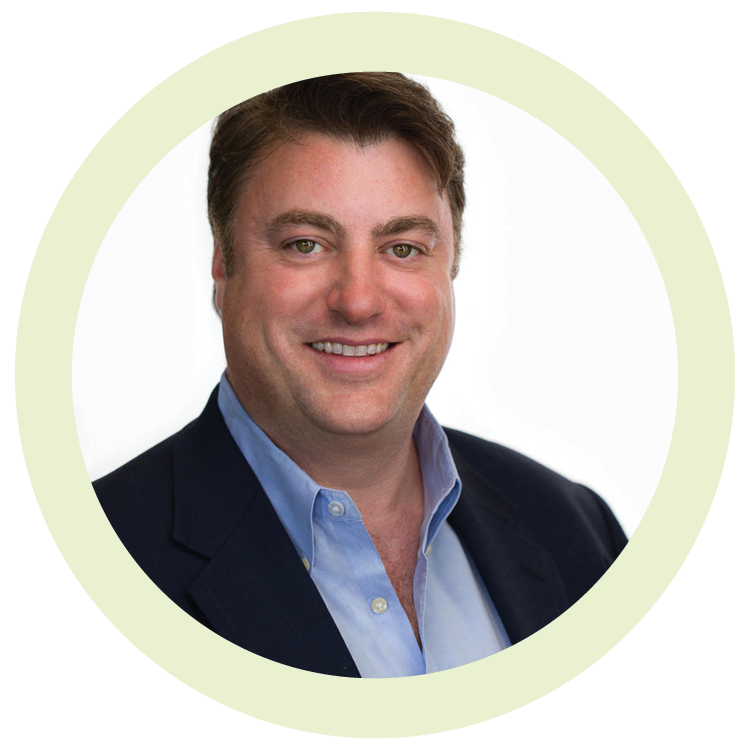 Mid-market solutions leverage standard, industry specific configurations and out of the box best practices. Pre-configured systems with everything your organization needs to realize value quickly are now the standard. Nitor Partners, working with your organization, streamlines the deployment timeline and delivers at a significantly reduced cost. Basic procurement systems can be deployed for a tenth of the cost of large enterprise systems, with advanced functionality and integrations available. You may be asking, "So, is this for me?" The first step to procurement system success in the mid-market is to be clear about what your organization truly needs to realize value. For some, it may just be an external marketplace that allows your employees to quickly buy items on a spot-market. For others, it might mean automating AP by reducing the number of invoice exceptions. Many organizations decide they need a catalog-based tool that groups all their buying channels into a single, consumer-like purchasing portal. Whatever your organization needs, rest assured that there are technology solutions available that will meet your needs without the price tag, deployment timeline and complexity of a classic large enterprise solution. As with any adventure, it’s best to engage with an experienced guide. Nitor Partners has a track record of success with this approach and can help your organization embark on this journey. You owe it to yourself to find out how you can realize value in 14 weeks with Nitor Partners’ mid-market solutions.